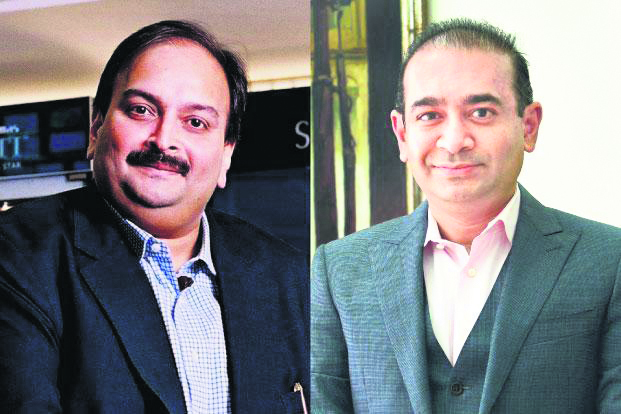 As troubles mount for celebrity designer Nirav Modi and uncle Mehul Choksi, a Mumbai court issued non-bailable warrants against the two millionaires who have refused to return to the country to face the probe in the Punjab National Bank scam. The arrest warrants were issued at the request of the Central Bureau of Investigation (CBI), a vital part of the multi-agency crackdown on the businessmen. Officials of the agency are currently questioning authorities at overseas branches of Indian banks that issued loans to companies owned by the two jewellers against bank guarantees. The government told the parliament this week that a request for Nirav Modi's provisional arrest had been sent to Hong Kong on March 23. The Narendra Modi-led government had canceled passports of the two diamond merchants after the CBI filed the first case in February for illegally getting guarantee letters from Punjab National Bank officials. Nirav Modi, his wife, brother, and uncle Mehul allegedly worked with bank officials to illegally obtain Letters of Undertaking that were cashed overseas from different banks. All of them left the country in the first week of January, long before the government and the state-run bank detected the fraud that amounts up to £1.27 billion. Over the month, government agencies have temporarily seized properties worth millions that led them to shut down their outlets in several parts of the country. The centre has also drawn up a law to deal with such cases of fugitive economic offenders that empowers the government to confiscate all assets of absconding fraudsters and loan defaulters to recover dues. Meanwhile, India has asked authorities in Hong Kong to arrest Modi. Whereabouts of him and Choksi have been officially unknown since investigation began in February. Junior Foreign Minister VK Singh said, “The ministry has sought the provisional arrest of Nirav Deepak Modi by the government of the Hong Kong Special Administrative Region, People's Republic of China.” Passports of both the absconding men have been revoked. Singh said India had submitted the request for Modi's arrest to Hong Kong on March 23.